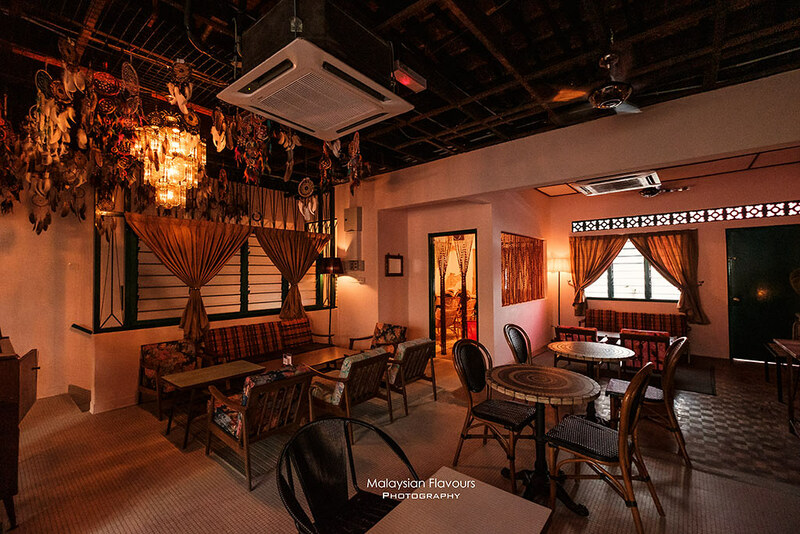 Mrs Jones’ Parlour, a new gin & wine bar in Seksyen 17, Petaling Jaya! 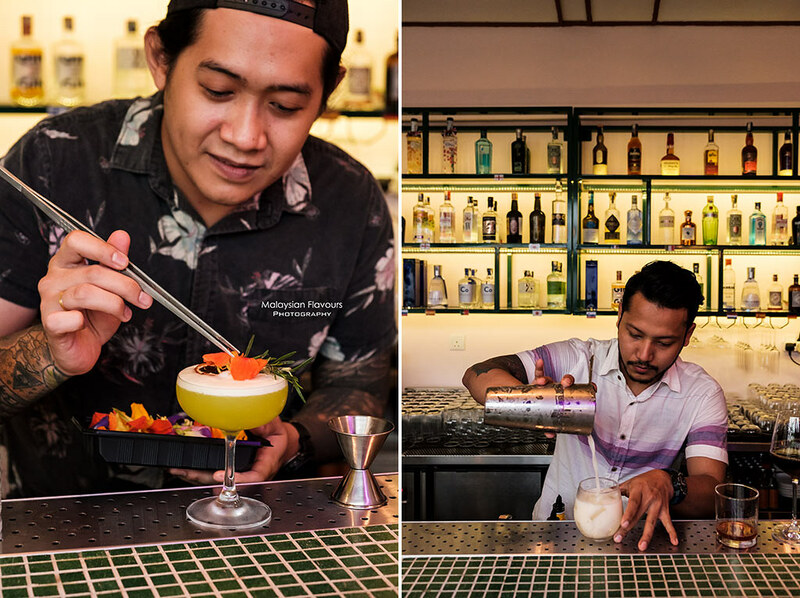 The cocktail & wine bar scene in Klang Valley has blossomed in the last few years. 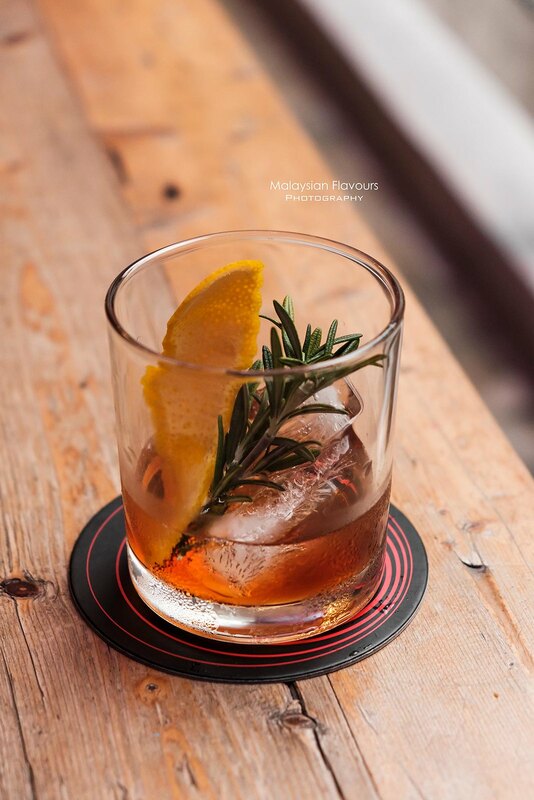 From speakeasy bar hidden behind an unassuming wooden door to exquisitely designed cocktail bar in KL’s major entertainment hubs, there’s always a reason for you to visit these places whether you are looking for your favourite classic cocktails, mixologist’s special or a glass of booze that fits right to your mood. 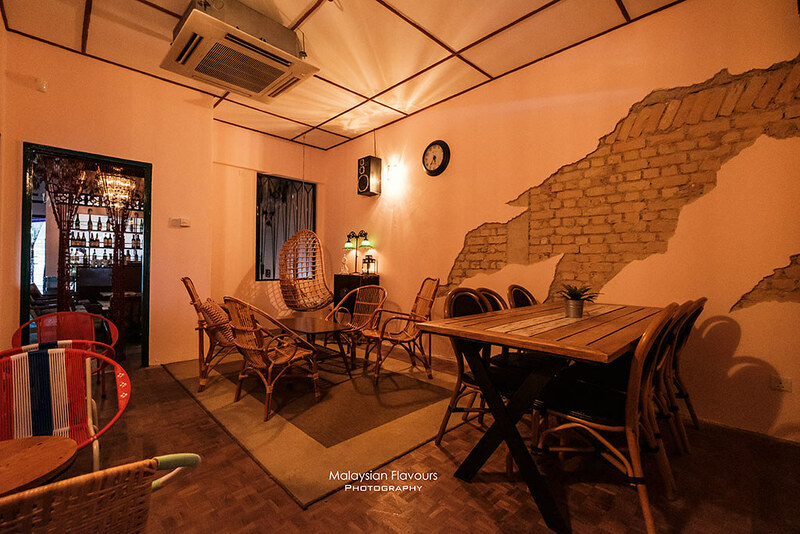 One of the latest noteworthy additions in Petaling Jaya is none other but Mrs Jones’ Parlour Seksyen 17, Petaling Jaya. 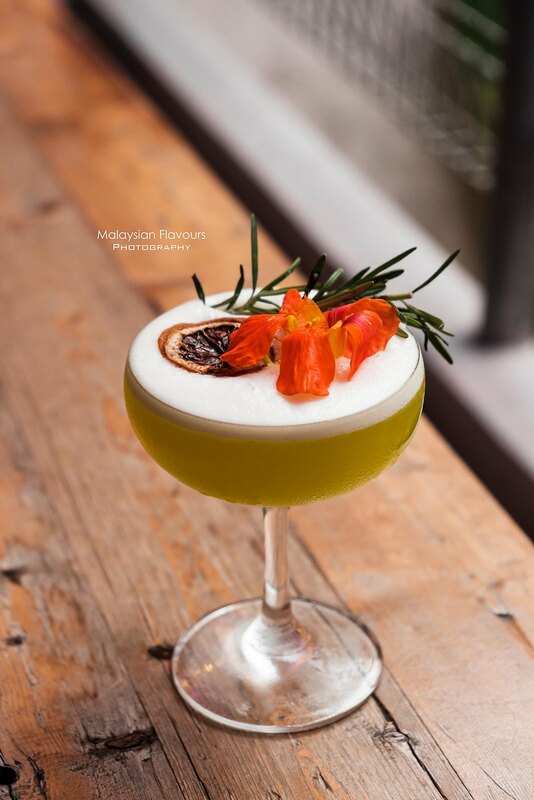 It a bar specializes in gin and gin-based cocktail, featuring about 50 types of gins from all over the world. Just gin & tonic to chill, or spices-infused-gin cocktail, Mrs Jones’ Parlour will set to satisfy. And not to forget, a promising range of carefully selected wines. 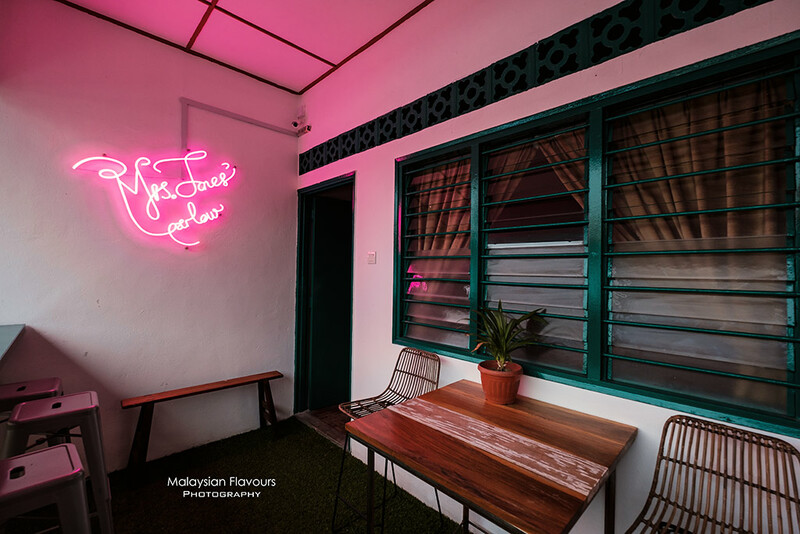 Mrs Jones’ Parlour is situated along Jalan 17/10, which also houses reputable eateries such as the famous Grub by Ahong steakouse, Tujoh Cafe that churns out lovely coffee and brunch, and another new cafe The Catcher in The Rye by Wild Sheep Chase just one street away at Jalan 17/12. And for Mrs Jones Parlour, spot the neon sign right above Tujoh Cafe, there it is. 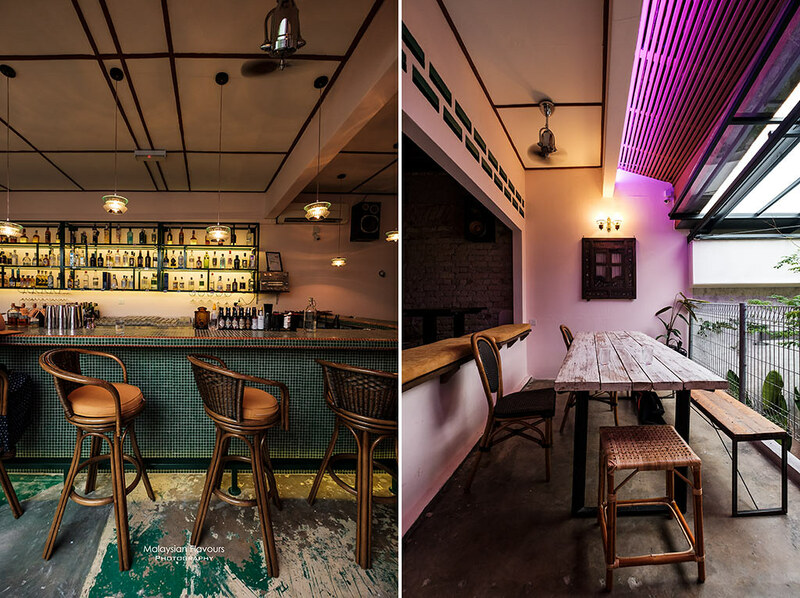 Walk up the staircases next to Tujoh Cafe, and get welcomed by a homey, retro-style interior. 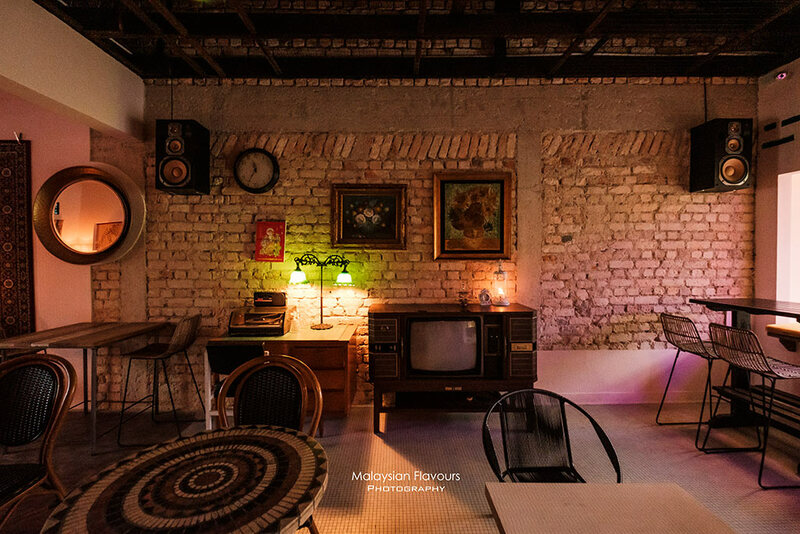 Exposed bricks walls, floral rattan chairs, vintage TV, old lamps, etc. 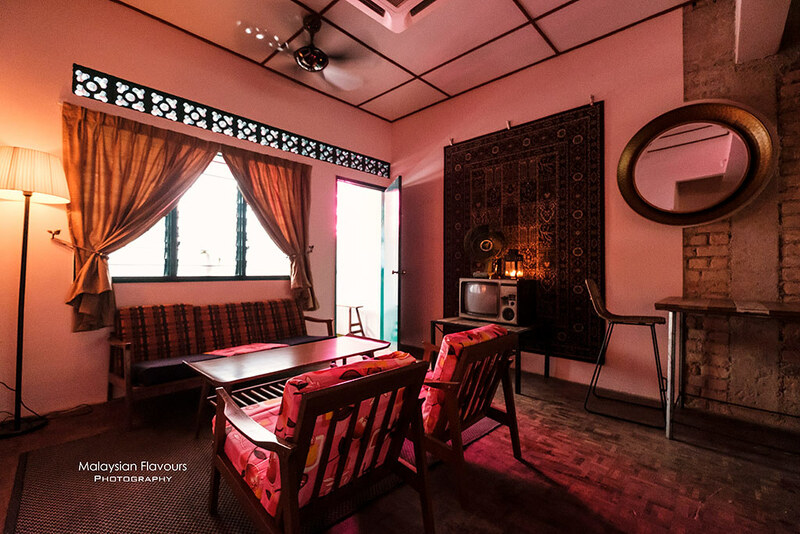 – a decor that instantly transported us back to the good old days of how our grandma’s house looks like. 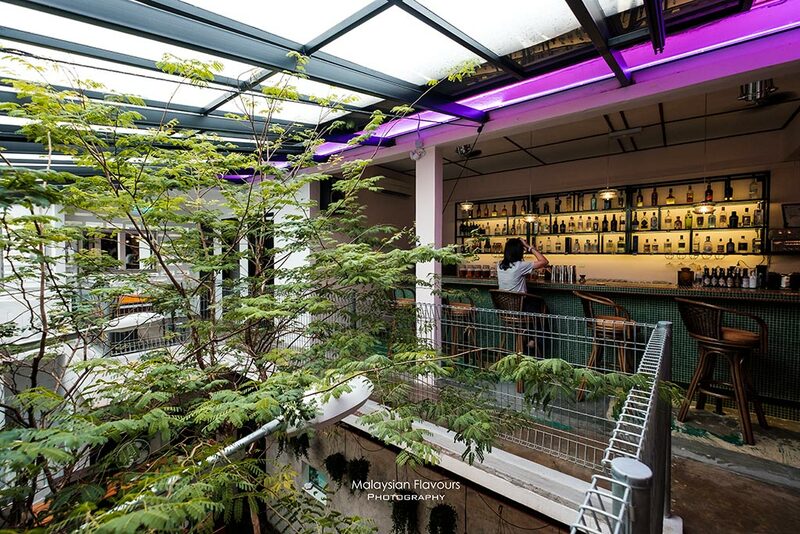 On another side of the bar, you get to enjoy the view of Tujoh Cafe from 1st floor, sit in front of the bar while watching mixtologist preparing your drink. 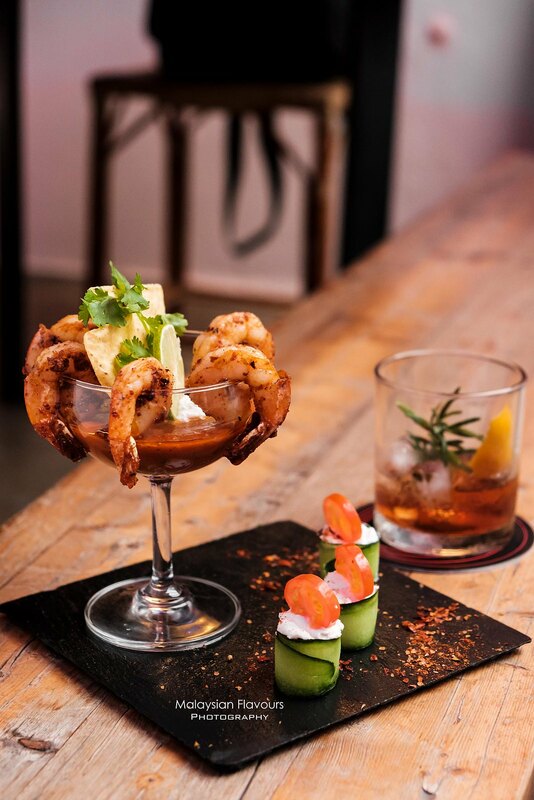 We suggest to come after the sun goes down, when the bar switches to a more relax, laid-back ambience. 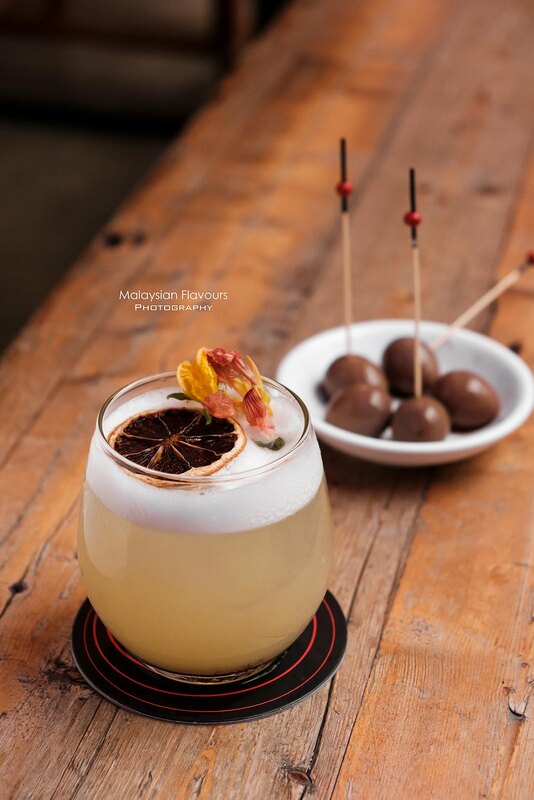 Dimple Sour RM38 – Hendrick’s gin based with lemon, limoncello, peach syrup and egg white; Monkey Forest RM45 – Botanist gin based with Maraschino, coconut juice, coconut syrup, lemon, passionfruit puree, egg white. 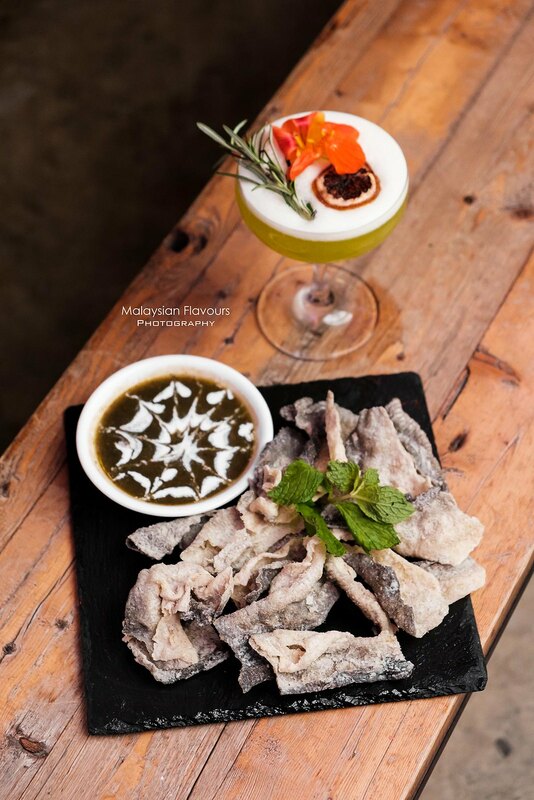 Do check out also their in-house infused gin – Heart of Mary (Gin with Infuse Pomegranate + Rosemary), Eternal Youth (Gin Infuse with Basil + Strawberry + Red Pepper), Elixir of Life (Gin Infuse with Apple + Pear + Cinnamon) and Babbling Beverage (Gin Infused with Lemon Peel + Cinnamon +Black Pepper). Each priced at RM28. 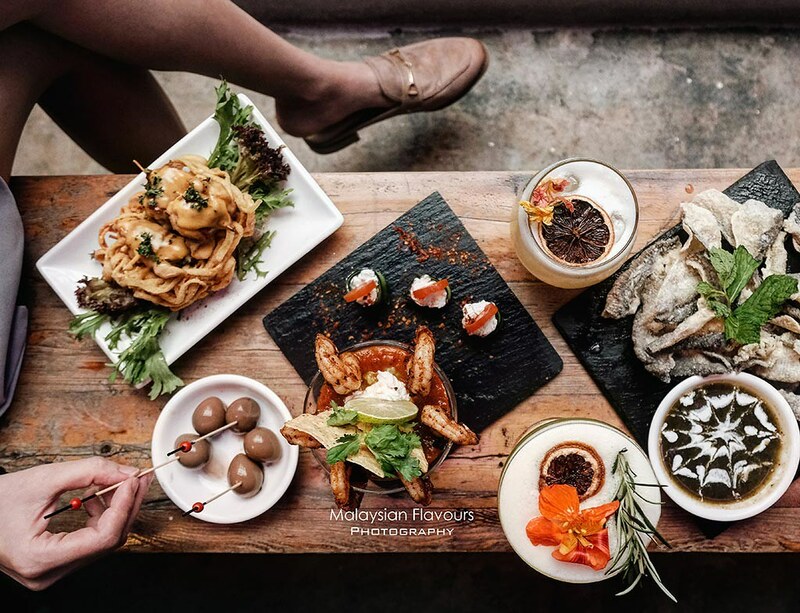 Other than that drinks, Mrs Jones’ Parlour also offer several snacks specially created to pair with your drinks, such as Chinese Tea Egg RM 8, Minty Hot Fish Skin RM19, Cheesy Beefy Wrap RM25 and Mexican Hot Shrimp RM29. 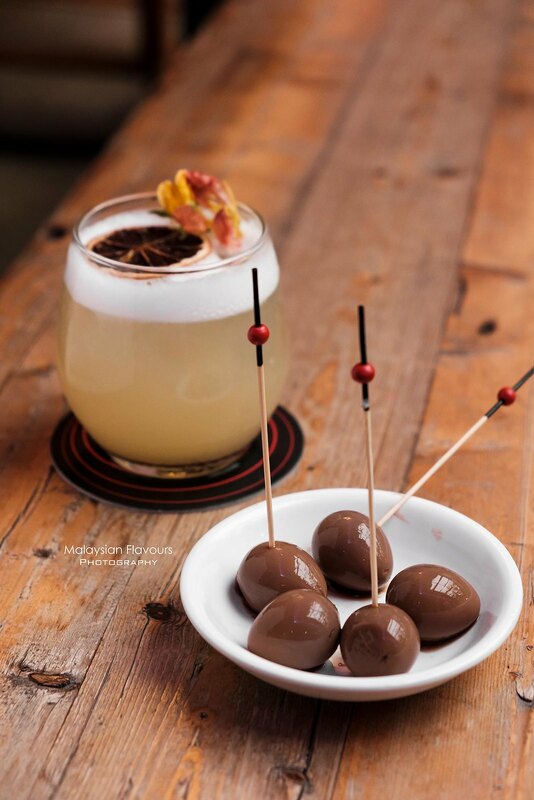 Among all, our favourite goes to Chinese Tea Eggs. It is like the mini version of normal Herbal Egg because quail egg is used – Bite size, laced with subtle hints of herbal. Never thought that it will go so well with cocktail! Staff recommends to enjoy it with Hendrick’s gin based Dimple Sour. 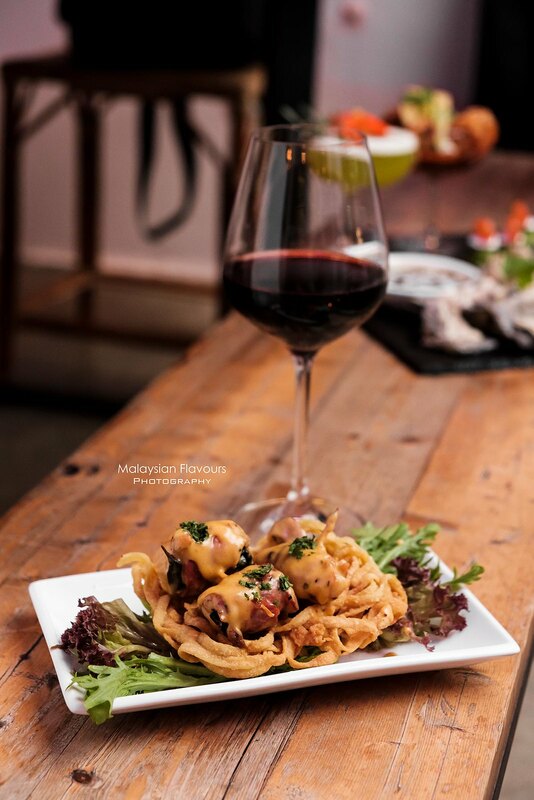 Besides, with one of the knowledgeable wine enthusiasts from The Pawn Room and The Private Room in TTDI leading the team of Mrs Jones’ Parlour, rest assured, your wine drinking experience here will not be disappointed. We tried Flametree Embers Cabernet Sauvignon 2016 that evening, a new selection on the bar’s shelves. 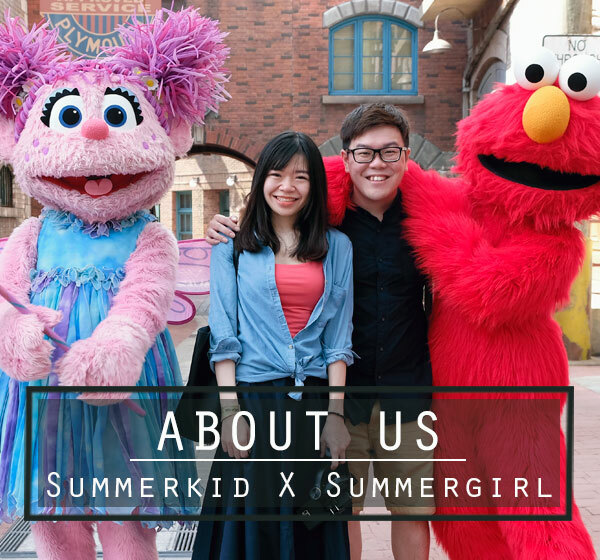 If you are looking for more substantial meal when you are here, fret not, they have a good list of main courses including Fish & Chips, Teriyaki chicken, Australian rib-eye steak, Pan Seared Salmon, Tomato Spaghetti with Meatballs and Carbonara Pasta, just to name a few. Mrs Jones’ Parlour opens from 5PM onwards. So come and get your pre- or after- dinner gin therapy whenever you are nearby. 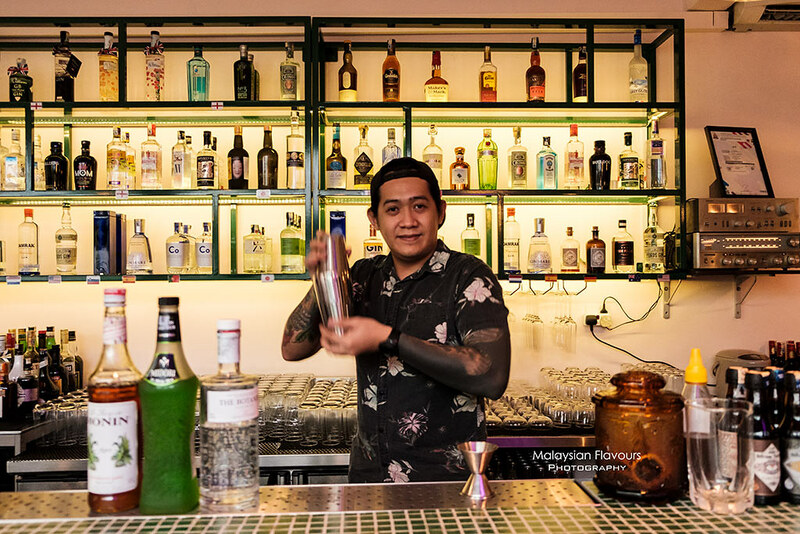 They have 2 gins of your choice at the price of only RM40 from 5PM-8PM! Damrak, Tanqueray 10, Bombay Sapphire, Bulldog, Bottega Bacur, Botanist, Citadelle, Colombo or Beefeater, find your favourites at better price between these hours! Seksyen 17, Petaling Jaya, Malaysia.